Sage Products LLC is committed to supporting high-quality independent clinical/medical education where Continuing Education credits (CE/CME) may be provided, through the provision of an educational grant from the Department of Clinical Affairs. In order to obtain such support, a grant request must be submitted (details below), reviewed and approved prior to the event/activity. Support is provided for educational activities and events that are designed to enhance the clinical/medical knowledge and skills of healthcare professionals. Review of proposals currently takes 4-6 weeks. We cannot approve grant requests after the event/activity has occurred. Please submit your request as early possible. Sage Products LLC reserves the right to publicly disclose details regarding any grants provided and recipient’s name, organization, event, etc. If you have any questions about this process, please email us here. 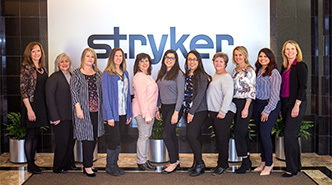 To submit a request for sponsorship, please follow the link below to be taken to Stryker’s request portal. A representative from the Department of Clinical Affairs will be in touch with your shortly. Thank you for your interest.